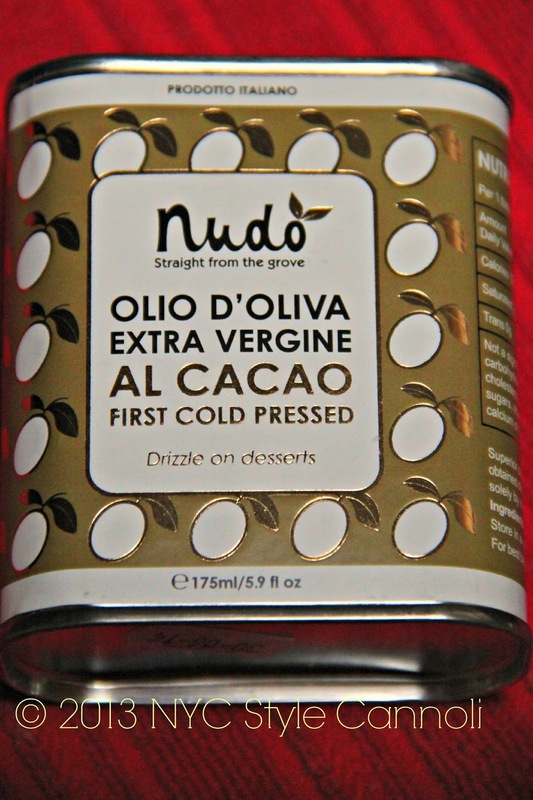 I have had the pleasure of trying Nudo Italia's latest limited edition Extra Virgin Olive Oil with Ground Cocoa Nibs. As you know, Olive Oil is very healthy for you, and it can be used in a variety of recipes. Nudo is a family-run co-op between 15 small olive producers in the Marche region of Italy. 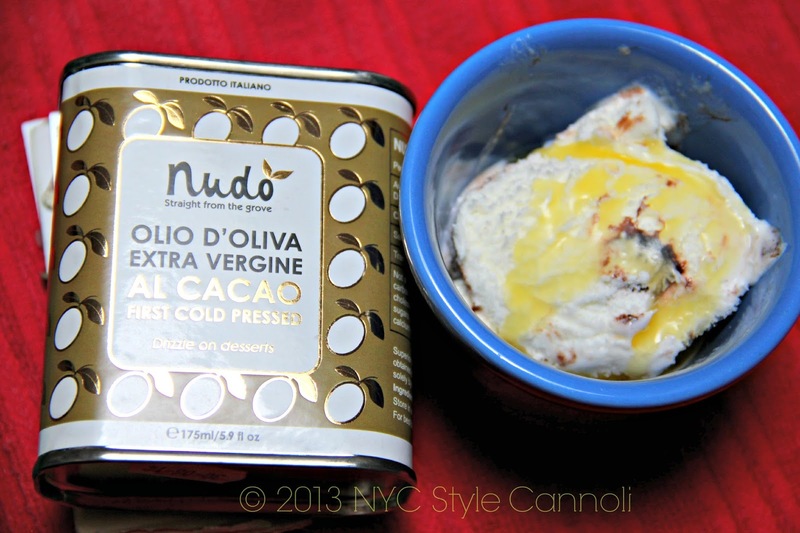 Best known for it's unique adopt-an-olive-tree program and superior first cold-pressed extra virgin olive oil, Nudo also offers a wide range of artisanal Italian products and hand-crafted flavored olive oils. Friend and award winning patissier, Will Torrent, asked whether we could make him a chocolate olive oil, we looked at him in a funny way. It's usually our job to suggest crazy olive oil experiments. But Will was ahead of us on this one and we decided to humour him. We crushed chocolate nibs together with our olives, and then drizzled the oil on some strawberries. Wow. We don't look at Will in a funny way anymore. This is a truly unique olive oil; we take raw cocoa nibs and freshly picked olives and crush them together in the olive press. This method is known as the ‘agrumato’ method and is the optimal means of really blending together the flavours. It is also the method used for all Nudo's flavoured olive oils, from garlic to lemon to basil. The olives are hand harvested in small groves around Loro Piceno in Le Marche on the east coast of Italy. The raw cocoa beans come predominately from West Africa. Nudo has produced a very limited quantity of this special oil, available only online. I decided to try it on some gelato, and it was so amazing! The flavor was just very full and unique. I would also like to try this in a savory dish as well. I would think anywhere you would use this, your dish would be pumped up to the highest level!! Preheat oven to 350°F. Grease the sides and base of an 8-inch spring-form line with parchment paper, and dust with flour. Tap off excess flour. Put the amaretti cookies in a food processor and blend until the mixture resembles fine breadcrumbs. Mix the crushed cookies with the melted butter and olive oil and, using a spatula, press down into bottom of the prepared cake pan to form an even layer. Place the mascarpone, ricotta, eggs, sugar, olive oil,orange zest, and vanilla extract into a mixer and blend until smooth. Pour the mixture onto the cookie base and gently shake the pan so that the cheesecake mixture levels out. Bake in the center rack of your oven for 45-50 minutes or until the cheesecake is golden. It should still have a bit of a wobble in the middle when it comes out of the oven, but theresidual heat will set the last bit as it cools. Cover and leave to cool completely before putting in the fridge overnight. Run a knife around the edge to loosen the cheesecake and remove it from the pan. Transfer to a serving plate. Prepare the strawberries by hulling and cutting them into quarters. Place in a bowl with the torn basil (always tear basil -- never cut it with a knife as it will always bruise) and drizzle over the olive oil. Spoon the strawberry salad over the cheesecake and serve to insane applause. 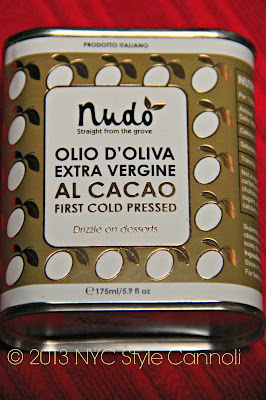 Nudo-Italia is kind enough to give one of it's newest limited edition Extra Virgin Olive Oil Stone Ground with Cocoa Nibs to one of my lucky readers! Details: This giveaway is open to US Residents and will remain open until September 9th at 11:59 p.m. EST. Any comments left after this time will not be counted. The winner will be selected randomly and will be notified via email and will have 48 hours to claim their prize. I have not received any monetary compensation for posting this content and I have no material connection to the brands, topics and/or products that are mentioned herein. Nudo-Italia provided me with one tin of the above mentioned olive oil to sample and will be shipping the winner a tin of their own. My opinions are 100% my own. Just catching up on your recent posts. This is an interesting idea and it's surprising how chocolate can be used in many different ways. I actually add some to my chilli con carne following a recommendation from a friend! Hi there! Happy Labor Day! This product and the recipes look delicious. I have some dark chocolate balsamic that is excellent. Great giveaway! I already won one, so I'll give someone else a chance. I did everything except for following them on Twitter. I like "Nudo - Adopt an olive tree" on Facebook! 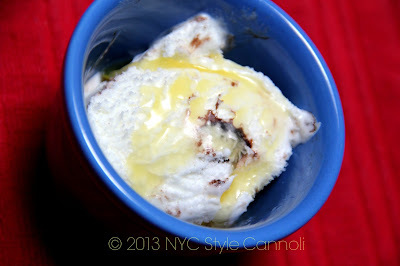 I am following NYCStyleCannoli on Pinterest. Here's my Pinterest url to verify. Following Nudo Italia on Pinterest. Here's my pinterest url for verification.